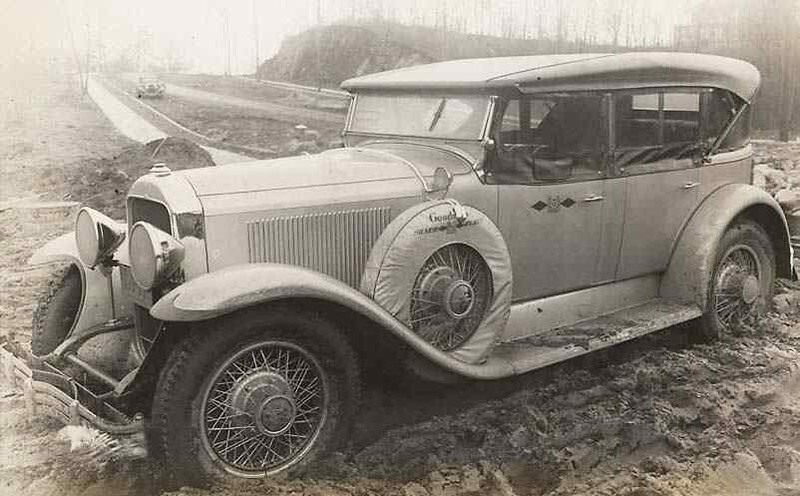 Goodrich Tire Silver Fleet’s 1929 Buick Touring Test Car: According to the notes with this picture, this 1929 Buick touring (likely a 29-49) was part of a 15 car and truck run to test tires in all road conditions. The fleet was to travel 30,000 miles leaving NY City on Jan. 23, 1929 sent off by Mayor Walker. Fleet was expected to be on the road a year at a cost of $200,000.